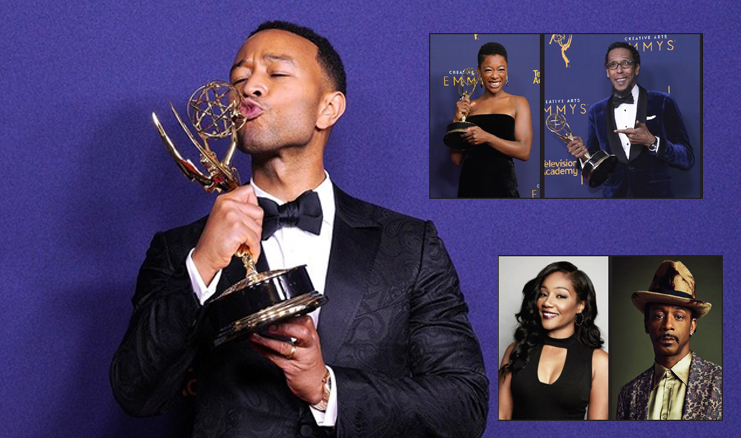 At this year’s Creative Arts Emmy Awards, John Legend made history by becoming the youngest person to achieve the coveted EGOT status. EGOT status means that Legend has received one of each of the highest creative accolades there are including an Emmy, a Grammy, an Oscar, and a Tony Award. He is also the first black man to accomplish this feat. One might say he is making historically Legend-ary moves. SNL actor, writer, comedian, Kenan Thompson took home an Emmy for the song he wrote entitled, “Come Back Barack.” Other writers included Eli Brueggemann, Chris Redd, and Will Stephen.